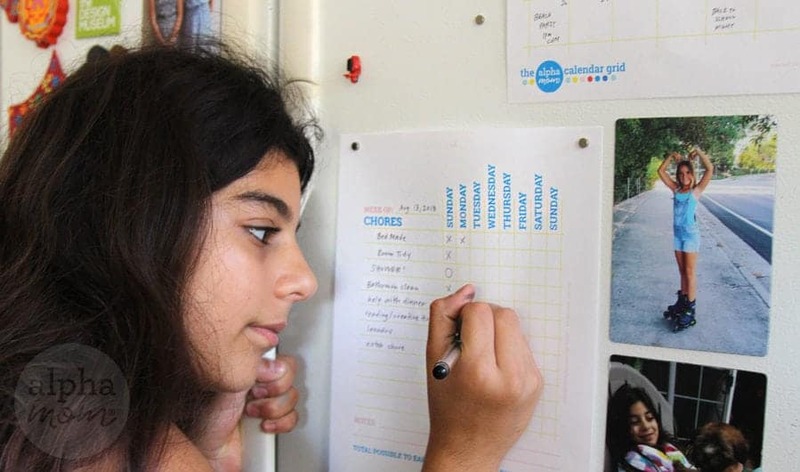 DIY Chore Chart, Family Calendar and Magnetic Pen! The lazy days of summer are coming to an end and it’s time to get back to school and put some structure in our days. If you are like me that means earlier bedtimes, regular dinner times, chore charts and centralized schedules. Chop! Chop! Just kidding. Too much structure can be stressful but a little structure and routine can go a long way, especially for kids who need to be at their best for school. 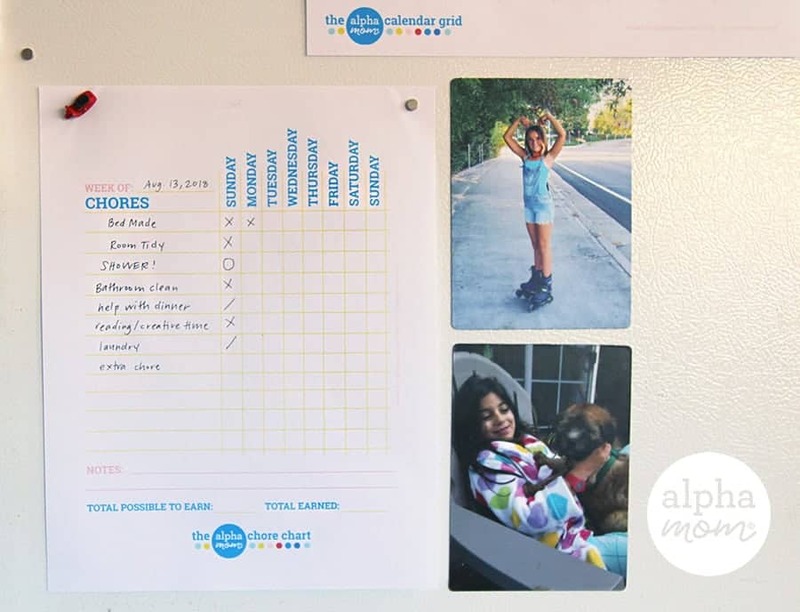 We have all kinds of reminder apps and electronic calendars and lists on our phones these days but sometimes good old fashioned 2.0 printables are just better. Especially when you are trying to turn your phone off more and spend more time present with your family and less time staring at your phone. So we made you some super simple printables. First up is our Weekly Chore Chart. Click here to print. In our house we calculate allowance off chores completed, and when a chore is skipped we dock a dollar. It’s proven to be very effective to establish regular healthy habits. Nothing like a little cold hard cash to incentivize. But you probably have different systems in place at your house so please use those for your needs. Also, incentives don’t need to be cash, they can be privileges earned. For example, points earned can be “cashed in” for experiences or special privileges like screen time. Secondly we have our Calendar Grid. Click here to print. 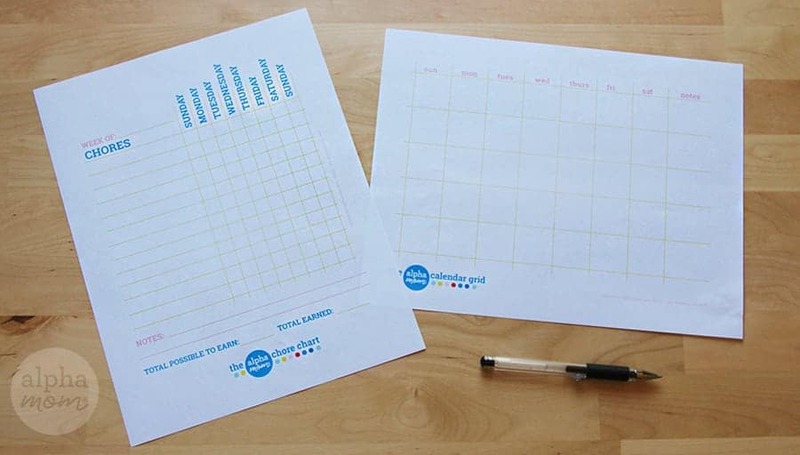 This is a super simple sheet that you can customize yourself. 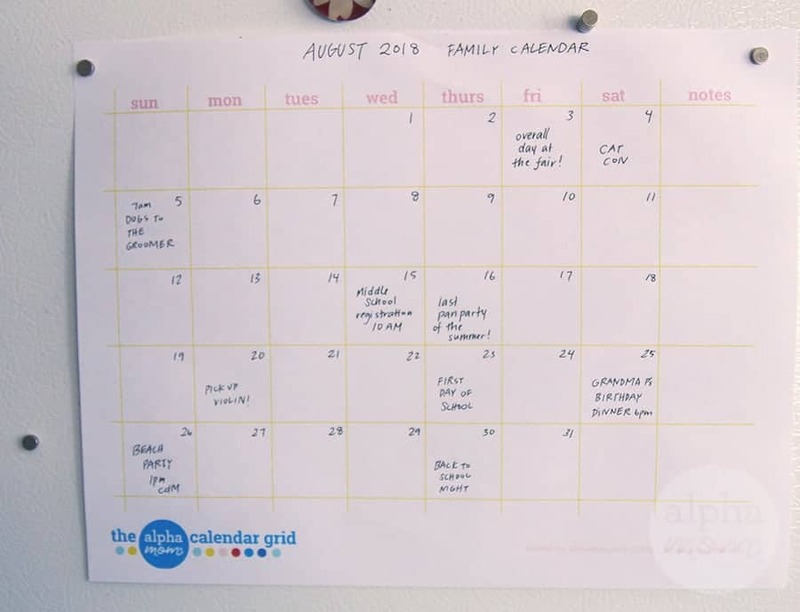 Write in the dates and important notes for the whole family, post it on the fridge and they will see it every time they open the door to grab the milk! 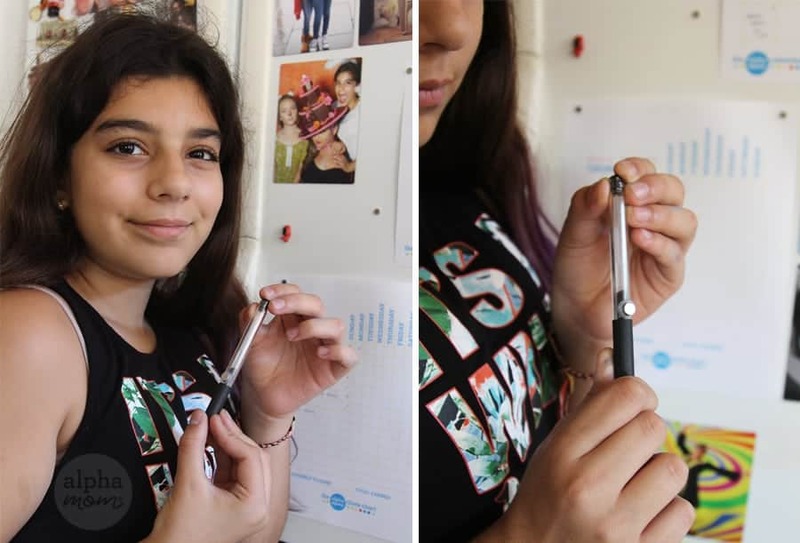 Our third tip is keeping a magnetic pen nearby. This is key because wandering around the house to look for a writing utensil can often distract and the next thing you know you get caught up doing something else and you forgot to write down that important date. Hope these organizational printables help your back-to-school days go more smoothly! Find more Back-to-School Ideas here.